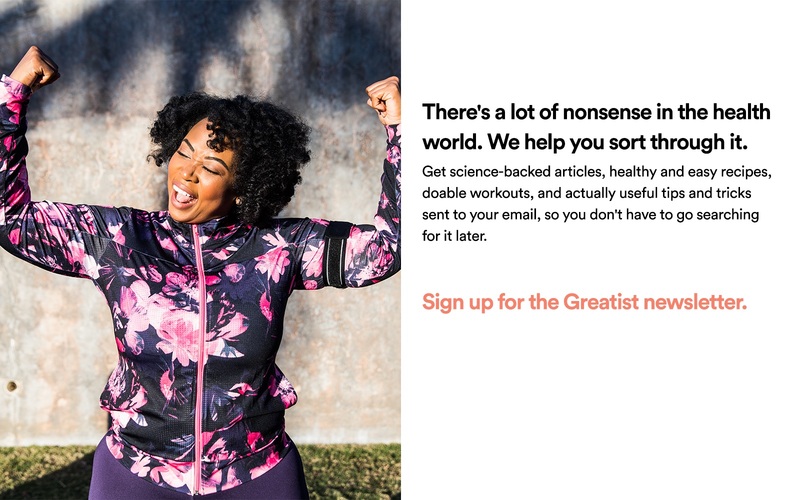 Greatist's #WTFis series looks at new trends in health and fitness to explain what the heck they are, why people care, and if they live up to the hype. Walking past any Starbucks this summer, something green has caught our eye. It’s been impossible to avoid ads for Starbucks’ new “Green Coffee Extract” energy drinks. We decided to dig into Green Coffee and see what this brand-new super-substance is really about. Green coffee is made from plain old coffee beans. The difference is that green coffee is unroasted and fresh off the stem. Instead of roasting the beans for that distinctive, smoky, aromatic flavor, green coffee beans are left in their just-picked, raw state. To get “green coffee extract,” green coffee beans are boiled in water for 15 minutes. The coffee bean-infused liquid is then strained and blended with other ingredients like water, fruit flavors, or sugar. What’s the Deal? Is it Legit? The main hype behind green coffee beans is that they contain chlorogenic acid, caffeine, and ferulic acid, compounds that have been shown to promote weight loss and lower blood pressure. All coffee contains chlorogenic acid, but the antioxidant is more easily metabolized from unroasted beans Chlorogenic acids from green coffee extract are highly bioavailable in humans. Farah A, Montiero M, Donangelo CM, Lafay S. Departamento de Bioquímica, Laboratório de Bioquímica Nutricional e de Alimentos, Instituto de Química, Universidade Federal do Rio de Janeiro, Illha do Fundão, RJ, Brazil. Journal of Nutrition. 2008 Dec; 138 (12):2309-15 . 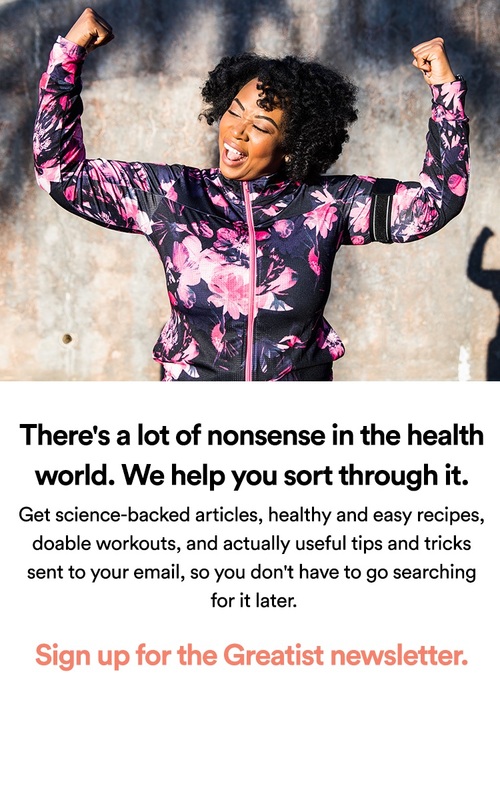 “Health experts” and celebrity dieters alike tout green coffee extract as a new weight loss “miracle supplement.” Joe Vinson, the chemist at the University of Scranton who ran a single pilot study on weight loss and green coffee extract in Bangalore, India, claims that “it appears that green coffee bean extract may work by reducing the absorption of fat and glucose in the gut; it may also reduce insulin levels, which would improve metabolic function.” Vinson’s report shows that green coffee bean extract can be effective in weight loss. But the study has limitations — it included only 16 adults, it did not follow-up on the subjects’ weight after they stopped consuming green coffee extract, it was not entirely blinded — which have left scientists and physicians alike unconvinced Randomized, double-blind, placebo-controlled linear dose, crossover study to evaluate the efficacy and safety of a green coffee bean extract in overweight subjects. Vinson JA, Burnham BR, Nagendran MV. Chemistry Department, University of Scranton, Scranton, PA, USA. Diabetes, Metabolic Syndrome and Obesity 2012; 5: 21-27 . Similarly, some studies have shown green coffee extract can help lower mildly elevated blood pressure Antihypertensive effect of green coffee bean extract on mildly hypertensive subjects. Kozuma K, Tsuchiya S, Kohori J, Hase T, Tokimitsu I. Health Care Research Laboratories, Kao Corporation, Tokyo, Japan. Hypertension Research 2005. Sep; 28 (9): 711-8 . However, reports on the effects of regular coffee on blood pressure have produced conflicting information Abstinence from coffee leads to a fall in blood pressure. Bak AA, Grobbee DE. Department of Epidemiology and Biostatistics, Erasmus University Medical School, Rotterdam, The Netherlands. Journal of Hypertension – Supplement. 1989 Dec; 7(6): S260-1 Habitual coffee consumption and blood pressure: A study of self-defense officials in Japan. Wakabayashi K, Kono S, Shinchi K, Honjo S, Todoroki I, Sakurai Y, Umeda T, Imanishi K, Yoshizawa N. Department of Public Health, National Defense Medical College, Tokorozawa, Japan. European Journal of Epidemiology. 1998 Oct;14(7):669-73 . The Buzz — Why Do People Care Now? Oprah’s celeb-physician Dr. Oz featured green coffee extract on his TV show in April, and interest in the product has skyrocketed since then. Starbucks introduced its Refreshers line of green coffee extract beverages in early July. On all website and product materials, the coffee company avoids any mention of weight loss and instead markets its green coffee as a light, refreshing beverage that has less caffeine than regular coffee but with all the same benefits. The excitement about green coffee is similar to the hype over green tea. Right now, the supposed health benefits of green coffee are inconclusive and have barely been studied. There’s no harm in trying a Starbucks Refreshers drink for a fruity, thirst-quenching coffee alternative, but don’t expect it to do anything fancier than having a cup of Joe, but perhaps with a few extra spoonfuls of sugar. Have you tried green coffee? Is it a new wonder-drink or a passing fad? Let us know in the comments below!